Humans were racing towards disaster. The whole world was in chaos. Nobody had any patience left for human interaction. Then we discovered coffee and the world was saved. Today, none of us can imagine getting through our day without coffee. Our morning does not start until we have had our coffee. The act of greeting colleagues in the morning only becomes tolerable thanks to coffee. But do you know that the same coffee that got you through rough patches and helped you stay up late on the night before finals is also very good for your skin? Coffee has many benefits and can do wonders for your skin, hair, and overall health. Do you remember that day when your friend asked you if you want to join an Instagram skincare challenge? That’s when you went on the worst skincare adventure of your life so how can you forget that, right? You ended up buying expensive skincare products that didn’t even suit you, and some of them had side effects on your skin. And the ones that didn’t have a side effect didn’t give a good result either. This is something that is likely not to happen when you are using natural things like coffee to treat your skin. For one, it is not expensive. And it is easily available at every store. By mixing coffee with other natural ingredients, you can make the best remedies for your skin problems. Whether it’s the puffy eyes, the dead skin cells, or the dull complexion, coffee can work its magic on most of your skin issues. And you can use these treatments without the fear of side effects. 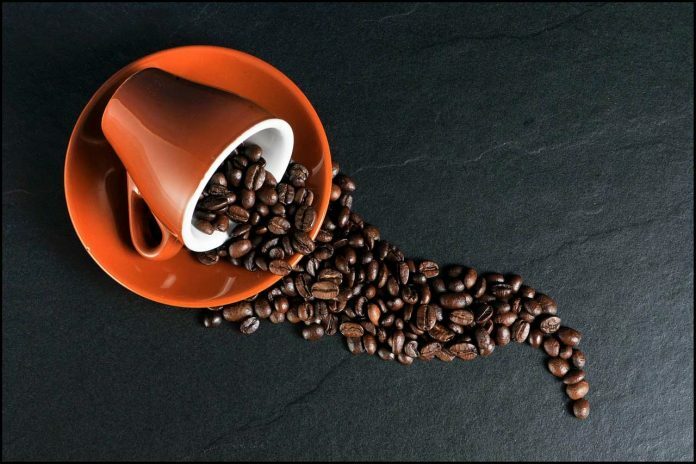 Coffee can not only remove dead skin cells but also cellulite. Coffee face and body scrub is the best scrub you can ever find. Unlike other scrubs, the coffee scrub is not harsh and doesn’t damage your skin in any way. For an all-purpose scrub, you can mix coffee grounds with sugar and olive oil. This is perfect for regular exfoliating of your face and body. It will remove dead skin cells from your face and body and also prevent the formation of cellulite. Coffee also repairs damaged skin cells and gives you smooth and clear skin. This quality of coffee can be helpful in reducing inflammation, and it can also be useful in reducing the puffiness around eyes that mainly comes from lack of sleep. Coffee can also brighten and even your skin tone. It can be used to treat a dull complexion. For a skin brightening scrub, simply add lemon in the ingredients of the regular coffee scrub. The scrub should be applied on a clean face and skin. Gently rub it using your fingers for 30 seconds and then wash it off. Nobody likes chapped lips. Not only do they make us uncomfortable, but they also ruin our lipstick. You keep on touching your lips or biting them, and the anxiety caused by chapped lips only leads to more anxiety about who is noticing your chapped lips and what they might say about it. No matter how many lip balms you try, nothing leaves a long-lasting effect and before you know it, your lips are back to being chapped. But coffee has a solution for this problem, too: Coffee and honey lip scrub will be the best cure for chapped lips you have ever tried. Mix equal amounts of coffee grounds and honey to create a smooth mixture. Apply the scrub on your lips and rub it in a circular motion for 30 seconds. Remove it with a wet wipe or washcloth afterward. Your lips will be smooth and flawless after using the scrub. This easy to make lip scrub can be used multiple times in a week. And if you have to get ready to attend a function, use the lip scrub before applying lipstick to give your lip color that smooth finish. Mix honey and instant coffee and your skin brightening and tightening mask is ready. Coffee helps in blood circulation and prevents pores from getting clogged. It smoothens the skin and takes care of damaged skin cells. Apply this coffee mask on your clean face, leave it on for 15 minutes, and then wash it off. Coffee is also useful for enhancing the power of your skin’s protective barrier. It helps your skin protect itself against all the harmful particles and organisms in the air. Since coffee helps regulate blood, it can also help in reducing the under eye puffiness. It is time you make up for the damage to your skin from that lovely vacation you took in Morocco. Mix coffee grounds with coconut milk and honey, apply it under your eyes (or on your whole face if you want), and leave it on for 15 minutes. This treatment will not only reduce the under eye puffiness but it will also relax your skin and treat any inflammation on your face caused by acne. For dark circles, use coffee grounds left at the bottom of the pan when you brew your coffee. Chill these grounds in the freezer for an hour. Mix the chilled grounds with Aloe Vera and apply them under your eyes. This treatment can also be used for the face. Leave the mixture on your skin or the under eye area for 15 minutes and then rinse it with water. Massage oils are perfect for the regulation of blood. They keep your skin fresh and remove the fat cells from the surface of your skin. To make a massage oil with coffee, mix coffee grounds with coconut oil in a blender. Massage your body with the coffee massage oil before taking a shower. Your skin will become smooth like an infant’s, and you wouldn’t be able to stop touching your skin. Your friends will ask you the name of the product that gave you such a flawless and smooth skin and no one will believe you that you used something as commonplace as coffee to treat your skin. Now that you know how to use coffee for better skin, it is time to make a cup of coffee to drink and some coffee scrub alongside it for your face! Judy Robinson is a passionate health and lifestyle blogger. She loves to write on women's healthy lifestyle, fitness 101 and DIY related topics. Follow @judyrobinson for more updates. How Would You Choose the Right Stones for Landscaping?